Kevin is Director emeritus, Brand and Values Experience, IBM Corporate Staff, leader of the IBM Brand Experience Community, member of the Market Intelligence Leadership team, and member of the Market Management Executive Committee. 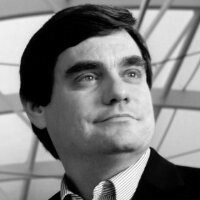 Kevin has also served as Brand Steward, strategist, and portfolio architect of the IBM Thinkpad family of personal computer offerings, including IBM ThinkPad notebook computers. Neale has been in the IT profession for more than 33 years, the last 21 of which he has been a CIO. He has been CIO for RTI International, Genworth Financial, Sensus USA, Misys Healthcare Systems, Channel Master LLC, Cogent Communications, SunTrust Capital Markets and Barclays Capital. He is also the founder and president of D’Rozario Consulting Services. Bjorn has 30+ years of experience with global 500 organizations including Ericsson and Motorola, as well as emerging companies in key market arenas. A senior executive with global knowledge in key industry paradigm shifts, such as mobile healthcare, mobile internet and early personal computing, Mr. Nordwall has introduced new technologies and has driven ideas to commercialization and growth in new and underserved markets. Nasser is a Senior Managing Director at Blackhawk Technologies, LLC. He has over 30 years’ of solid experience in multiple industries and has owned & operated businesses in engineering and manufacturing. With a BS in Electrical Engineering and an MBA, Mr. Lukmani has been monetizing technology for the last 10 years. Jennifer Roberts: Jennifer is a dedicated North Carolina public servant who has served as Mayor of Charlotte, County commissioner at large, candidate for Congress and has business experience with financial institutions and higher education. Jennifer is working with Tanjo to create machine learning solutions for county and municipal governments across the U.S.
Stuart is a UAS remote pilot, aircraft pilot, music producer, writer, and composer is fluent in 13 instruments who brought the “Pittsburgh Sound” to the music scene in the mid 90’s. After achieving multi-platinum sales awards within the music industry through collaborations with a variety of top recording artists like Dr. Dre; he expanded his interests by becoming a multi type-rated aviator with a vast knowledge in various aircraft technologies including UAS (Unmanned Autonomous Systems) management, as well as video game & app development. Ronnie is the CEO of Timely Text and has been an entrepreneur and small business leader and advocate in North Carolina for more than thirty years. Ronnie is focused on the introduction of Tanjo machine learning capabilities to the healthcare and education markets. With engineering degrees from Virginia Tech and Penn State, Dan is a senior business and product executive with 25+ years’ experience in the successful market introduction of innovative technology, products, and services. His experience includes lead roles at large global corporations, including Ericsson and Mitsubishi, at technology startups achieving successful exits, and at market-leading consulting groups. John is Senior Director at Blackhawk Technologies, LLC. 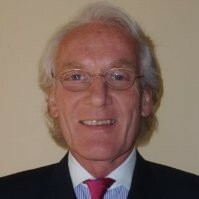 With over 30-years’ experience working with emerging companies, he has served as a “C” Level manager, sold companies and assets, completed financial restructurings, performed asset valuations, assisted with business development for emerging technologies, and managed venture capital investments. Mr. Ciannamea has a Bachelor’s and a Master’s degree from Rensselaer Polytechnic Institute along with an MBA from Virginia Commonwealth University. Peter Hannan is an American animator, singer-songwriter, author, illustrator, producer, artist, and entrepreneur. Hannan is the creator, executive producer, and show runner of the Nickelodeon series CatDog.